All plans are fully featured and can grow along with your business. That’s it, plain and simple. No need to worry about upgrading your account when you hire new employees or expand your business to a new location. ReadySetWork scales with you. Import your current employees into ReadySetWork and get started. 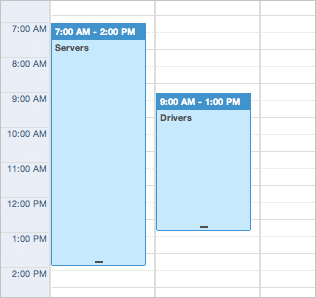 Build schedules quickly and easily with our intuitive scheduling system. Communicate with your employees via e-mail and text message. Maintain multiple schedules (for each department, location, etc.). Read more about how ReadySetWork works.